2019 dates are currently available. We can arrange for individuals or teams to serve at any time throughout the year for any length of time in Cambodia. Education and parenting trips will be taking place in May, June, and July, and a healthcare trip will be taking place in August. There are opportunities to serve within each of the four platforms in Cambodia. 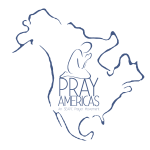 As part of an education team, you will be prayer walking and teaching in elementary, secondary, and/or post-secondary educational centers. There are a variety of subjects to teach, including English, science, technology, engineering, and agriculture. If you are a college professor, you will have the opportunity to directly shape colleges and universities that we serve in the country. We are in great need of people to teach technical skills in our training centers and equip Cambodian students to change their nation.